Euston, Piccadilly, Waverley and Beyond…. Click on the pic to download our free single!!! A new video for an old song! Rocker/teacher extraordinaire Chad Walls’ six-person band has been a Portland highlight since 2014, cranking out three solid albums as a sort of trilogy of Britpop, which no one else does around here. Listening to them feels like traveling on a red-eye bus with nowhere to go and all the time to get there. Pack your bags and get lost in the clear harmonies and nostalgic beats as they carry you away from your life. Or at least to the next train station. Rolling out 2017 strong, they recently released a live album recorded at WMPG, titled Live: Local Motives. Keeping with the train metaphors, An Overnight Low has proved they’re not just passing through, they’re here to stay. were nominated for “Best Rock Act” in The Portland Phoenix! Click the pic to vote! Check out the first single for Waverley first by clicking the link below! Waverley is done! Check out a preview by clicking the pic below! Check out Chad’s summer mix in The Phoenix. Piccadilly is now on iTunes! Click the pic to order. Piccadilly’s on Spotify! Click the pic…. Thinking about Waverley…. Click on the pic and join us. Hey, look what we did! 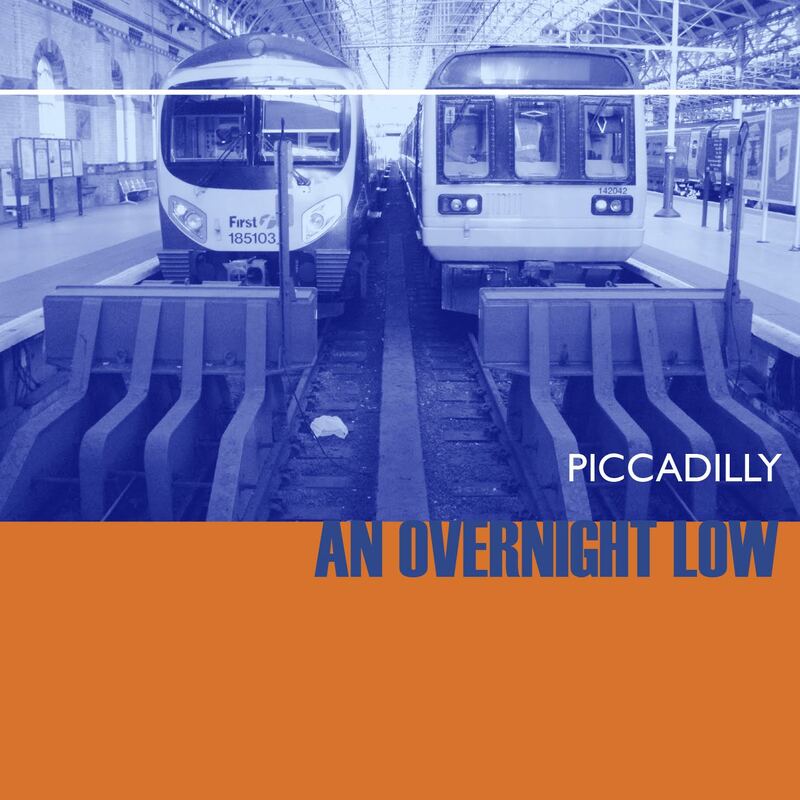 Piccadilly is due out now! You can order it here. Piccadilly is due out on November 20th! You can pre-order it here. Winter show schedule coming soon!